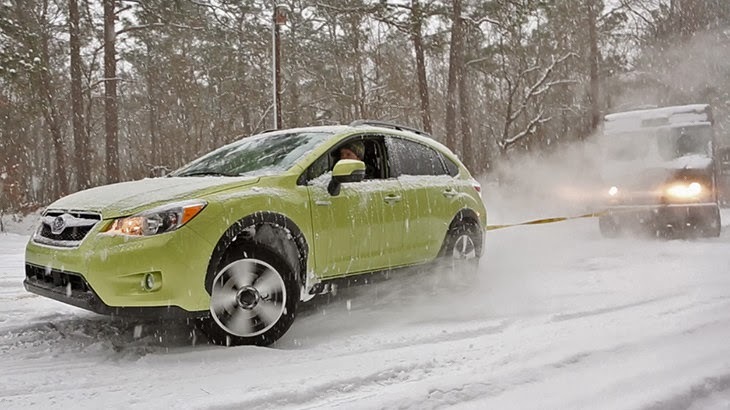 We love the power of a Subaru all-wheel-drive. After watching a viral video this week of a Subaru XV Crosstrek Hybrid towing a large UPS truck out of a deep snow bank, we weren’t too surprised by the results. The ability of an AWD Subaru is absolutely incredible, and this is a real life example to prove just why we love the Subaru brand so much. Ezra Dyer puts a Subaru to the test. Do you think the UPS truck can be pulled out without a tow truck? Do you think a Subaru can do the trick? The answer is YES! Watch the video here. If you don’t want to worry about driving in snowy, icy, dangerous weather, a Subaru gives you absolute control and stability. You can afford luxury, you can afford sportiness, and you can afford a durable Subaru that will get you anywhere you need to go, in any condition. Visit us right here at the Uftring Automall in East Peoria to test drive any of our 2014 Subarus. Click here to view our complete Subaru inventory, new or used.